Sven E. Wiik has contributed to the sport of skiing as a coach, teacher of coaches, a member of several national committees related to skiing, as a writer and as a promoter of the sport. Sven E. Wiik was born in Solleftea, Sweden and immigrated to the United States in 1949. His leadership has been felt in many aspects of skisport because of the different roles he played. He has contributed to the sport in the following areas: as a successful ski coach, as teacher of numerous high schools, colleges and recreational ski coaches, as a member of several national committees related to competitive skiing, as a writer and as an entrepreneurial promoter of the sport. From the time of his arrival in the United States in 1949, few persons have had a greater impact on the sport of skiing in this country than Sven Wiik. As ski coach at Western State College in Gunnison, Colorado for 19 years, Sven helped at least twelve members of his teams qualify to represent the United States in Olympic and F.I.S. competition. His knowledge of the sport and his skill in helping young athletes were specifically recognized three different times: when he was elected to coach United States teams for the international competition in the World Ski Championships in Lahti, Finland in 1958; the Olympic Games at Squaw Valley, California in 1960 and the International University Competition held in Clavier, Italy in 1966. It was also at Western State College that Sven helped to gain the acceptance of the National Collegiate Athletic Association of skiing as an inter-collegiate sport. He served as a member of the initial NCAA Ski Rules Committee which laid the foundation for what has become one of the major ski competitions in this country. In addition, Sven has served on the USSA Nordic Competition Committee, the USSA Olympic Ski Games Committee and the U.S. Ski Education Foundation Board of Trustees. Closer to home, he has served in many capacities – from vice president to chairman of numerous committees – for the Rocky Mountain Division of the United States Ski Association. 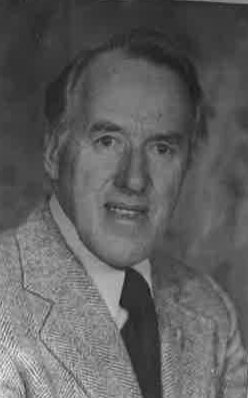 He also served on the U.S. Olympic Organizing Committee and was Chief Steward, helping with plans for the 1980 Olympics held in Lake Placid, New York. Sven Wiik is the author of the booklet “Cross-Country Training and Racing” and co-author of The Regnery Guide to Ski Touring. In addition, he assisted in writing a ski touring instructors certification for the Rocky Mountain Division of the United States Ski Association. He was named as the first chief examiner for that program. Since the 1950s, Sven has been involved in promoting the sport of ski touring in many capacities. At his Scandinavian Lodge in Steamboat Village, he conducted Thanksgiving cross-country clinics which he started in Gunnison and Crested Butte in 1957. He operates the Mt. Werner Training Center where he took great interest in hosting and conducting ski educational programs of all kinds. Sven Wiik was elected to the U.S. National Ski Hall of Fame in 1981. If you notice any errors or inconsistencies in Sven Wiik's bio, click here to let us know.